A December meeting will outline the public-private partnership process that Maryland Gov. Larry Hogan has proposed to finance his plans to ease congestion on some of the state’s most traveled roads. WASHINGTON — Businesses interested in partnering with the state on projects to widen Interstates 270 and 495 are being invited to a forum in Linthicum, Maryland, next month. The Dec. 13 meeting will outline the “P3” process, which is the public-private partnership process that Maryland Gov. Larry Hogan has proposed to finance his plans to ease congestion on some of the state’s most traveled roads. Under Hogan’s plan, developers would design, build and maintain the express toll lanes for each roadway, and in return, they would collect the toll revenues generated. There would be no charge for drivers using the “regular” travel lanes. 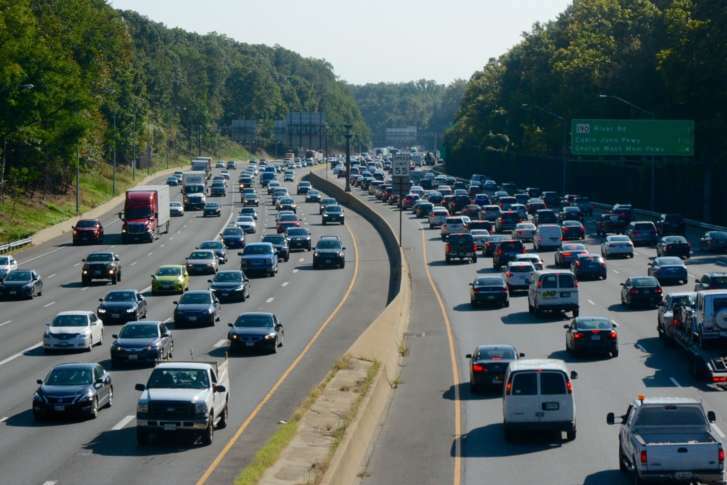 In September, Hogan described his plans as “transformative.” Maryland would add four express toll lanes to the entire length of I-270 and on the Capital Beltway from the American Legion Bridge to the Woodrow Wilson Bridge. Both would be developed using the public-partnership model. Maryland also hopes to add capacity to the Baltimore-Washington Parkway, but that would require a transfer of the roadway from the federal government. If that were successful, then the state would use standard government contracting procedures to complete the plans to add express toll lanes the length of the parkway. Hogan calls the plan for the roadways his traffic relief plan, saying that Maryland has the second-longest commuting times in the nation. The $7.6 billion public-private proposal for I-495 and I-270 would be the largest public-private partnership in the nation, according to the Maryland Department of Transportation.